These foods are probably foreign to most people however, they all pack a nutritional punch in terms of health benefits. Try and add a couple of these foods to your daily regimen for a more well-balanced diet. First, a great quote to start out the blog post that really puts things into perspective and something that really resonates for me right now in dealing with an injury. These two berries are super antioxidants that are loaded with several substances called anthocyanins and flavonoids. They work wonders on your immune system and help reduce the risk of some diseases, such as heart disease and cancer. Rich acai berries destroy cultured human cancer cells. Provide an increase in energy. Healthy and more youthful skin. High levels of omega 6 and omega 9 fatty acids, which help the heart and cardiovascular systems. A powerful anti aging food. A high concentration of antioxidants. Helps to slow down premature aging. A synergy of monounsaturated (healthy) fats. Loaded with dietary fiber and phytosterols to help promote cardiovascular and digestive health. A great amino acid complex. Vital to proper muscle contraction and regeneration. Also known as the soybean, edamame is a natural source of antioxidants that is made up of anywhere between 30% and 40% protein. 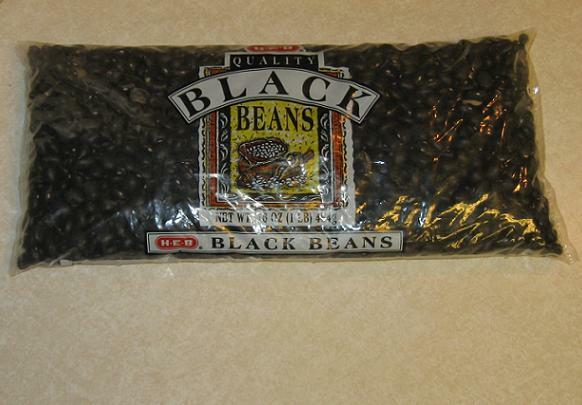 A half-cup of these beans can have up to 11 grams of protein and are one of the few vegetarian proteins sources that have all nine of the essential amino acids the body can’t make. The fat in edamame is the heart-healthy kind, polyunsaturated and monounsaturated fats that help to lower cholesterol levels. Rich in vitamins B,C, and E.
Rich in magnesium, calcium, and iron. Helps reduce risk of heart disease. Help reduce certain types of cancer. Bok choy is a member of the cabbage family that is loaded with antioxidants and can help aid in digestion. One cup of raw bok choy contains about half your daily requirement of Vitamin A, C, and K, while being low in fat, low-calorie, and low-carb. High in vitamin A, C, K, B6, calcium, dietary fiber, folate, and iron. 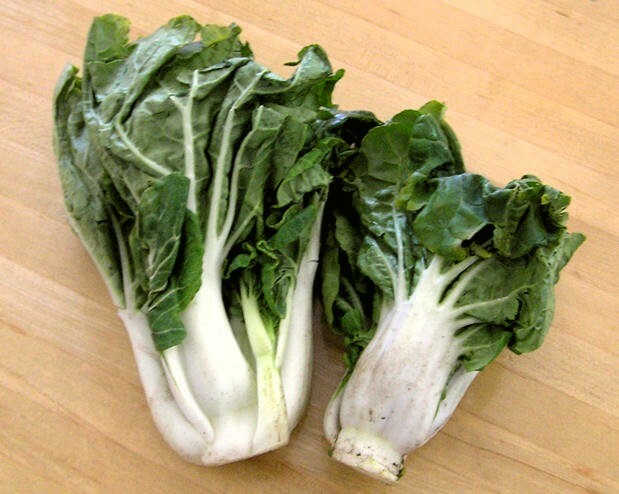 Lung, colon, prostate, and endometrial cancers seem to be reduced with bok choy intake. Loaded with beta-carotene which can help reduce muscular degeneration. Bison or buffalo, is a lean protein that contains all the essential amino acids your body cannot produce on its own. Buffalo offers an alternative to other commonly eaten lean proteins such as chicken breast, turkey, and pork tenderloin. In looking at the comparison table you can see it has more protein with fewer calories, less fat, and is lower in cholesterol than other protein sources. Bison spend their lives on grass and are generally not subjected to questionable drugs, chemicals, or hormones. A nutrient dense food because of the proportion in protein, fat, mineral, and fatty acids, to its caloric value. Has a greater concentration of iron than other meats. No growth hormones, steroids, or sub-therapeutic antibiotics. These animals are both environmentally friendly and people friendly. Quinoa, considered the “mother of all grains”, is a complete protein, packing all the essential amino acids your body needs to build muscle. 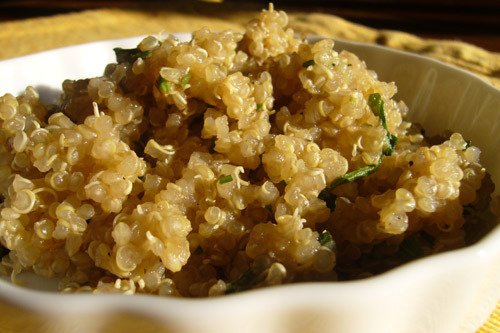 Quinoa has about twice the protein of regular cereal grains, fewer carbohydrates, and even a dose of healthy fats. This is great gluten-free alternative to wheat carbohydrates. An awesome alternative to the proteins found in meat. A very good source of magnesium, folate, and phosphorus. Great source of fiber that can provide cardiovascular health and lower the risk of type 2 diabetes. Canned salmon is a quick and easy way to get 1 of your 3 recommended servings of fish per week. Like other varieties of canned fish, canned salmon is a convenient protein source that contains healthy monounsaturated fats with no sugars or carbohydrates and contains lower mercury levels than canned tuna. A good source of B-vitamins, especially vitamin B12. Very low in environmental contaminants such as mercury and pesticide residues. Contains an abundance of nutrients that protect your bones, prevent cardiovascular disease, and help keep you mentally sharp. One cup of canned salmon provides almost 30% of the 1,000 mg of calcium you need each day. Like bison meat, venison is a great low-saturated fat alternative to generic red meats. Venison comes from any large game animal like deer, elk, moose, or caribou. Venison is low in cholesterol and like any non-farm produced animal, is resistant to disease and does not live on a diet of antibiotics and steroids. Venison houses fewer calories, less fat, and more iron than chicken breast. Rich in various nutrients including proteins, iron, vitamin B12, B6, riboflavin, and niacin. A great option for those who are vulnerable to heart disease. Can help increase energy and boost your metabolism. Cottage cheese is an excellent snack that is low in fat and carbohydrates, but packed with protein. Cottage cheese is a favorite food among athletes, weightlifters, and dieters for its high content of casein protein, or slow digesting protein. Research suggests that cottage cheese makes a great late night snack to allow your body to utilize the slow digesting protein while you sleep and can also help your muscles to recover. 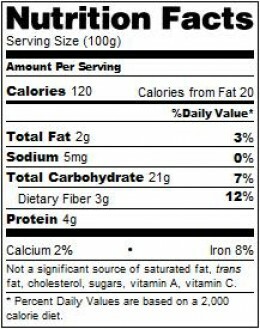 A good course of calcium, with vitamin D.
Great source of casein protein. Great nighttime snack to keep you from feeling hungry while you sleep. Spaghetti squash is a great alternative to high-glycemic carbs that are associated with most white and wheat pastas. Spaghetti squash gives you the advantage of not spiking your insulin and is relatively low in carbohydrates. The low caloric value will allow you too add more natural ingredients to your spaghetti, such as more proteins and vegetables, versus getting calories from processed white or wheat noodles. Rich in omega 3 and omega 6 fatty acids. High levels of vitamin A and C, potassium, calcium, phosphorus, folate, beta carotene, and more. Can promote brain function while inhibiting inflammation. Great alternative to high-carb/high calorie pastas. There was a great article this week in the Wall Street Journal about Baltimore Ravens running back Ray Rice and how he lives and dies by chia seeds… Seems like my kind of guy. Chia seeds are another complete source of dietary protein, providing all the essential amino acids. They can make a great addition to your morning oatmeal or shake. Highest plant-based source of omega 3’s. Rich in dietary fiber and protein. Doesn’t carry the health concerns of flax seeds. Large amounts of B-vitamins and calcium. Chia seeds are hydrophilic, meaning they hold around 10 times their weight in water. For athletes, this is a good thing, helping hydration during exercise. Adding these foods to your diet will give you some great nutritional benefits and help you to yield greater results whether you are trying to gain weight, lose weight, or maintain a healthy balance. Thanks for reading.